Engage clients “in the now” with promotional products from creative ASI distributors and be remembered after your next event. Retention of Ad specialties and promotions now matter more than ever when it comes to your marketing strategy. Many people have turned to online marketing and abandoned promotions now that consumers have gone online. However, specialty advertising is still the most effective and inexpensive form of advertising. If you are one of the few people who still don’t believe in ad specialties, I dare you to count how many you have in your own household. According to studies, households in the Untied States have an average of 30 of them at any given time. The highest percentage of items are owned by households of Generation X and Millennials. Just take a look around at how many you have as you likely fall within that 20 to 30 category. Promotions now more than ever need to have a spark. You need to outdo your competition and using ad specialties is one way to do that. To understand the importance of specialty advertising promotions, let’s first take a look at what ad specialties are. So, what exactly are ad specialties? Simply put, they are the products used in the process of specialty advertising. So basically, ad specialties are the promotional items you use to give away to your potential customers or reward current customers. They are used for giveaways and can even be used as a bonus for employees. These items are often branded with your logo or company message which leads to value brand impressions (more on that later). According to the Advertising Specialty Institute, the annual revenue of products distributors has set records for nine straight years. There was a 4.9 percent rise from 2017 and the industry as a whole expects a strong 2019. Sales figures show that people are using promotional products for specialty advertising. Marketers do plenty of research prior to determining where to place their marketing spend. As such, it is clear that ad specialties work. There would be no reason for marketers to spend money on them otherwise. In order for advertising to be effective, you must get a return for your money. According to the Specialty Advertising Institute, ad specialties are the number one most effective form of advertising. More effective than online, print, and television. In general, ad specialties and promotions cost you less than a penny per impression. That means every time someone sees your brand, your cost for that impression is less than any other form of advertising. Many promotional items even cost as low as 1/10th of a penny per impression. In order to see your ROI, let’s take a look at the average cost per impression compared to other forms of advertising as reported by Statista. On a final note, Advertising Specialty Institute reports that people are 2.5 times more likely to have a positive opinion of an advertiser through specialty advertising than they are with internet advertising. Retention of promotional products is one of the reasons that promotions now have a way of getting you noticed. People tend to hold on to promotional items for a long period of time. They also pass them along to others when they are done with (or don’t need) them any longer. So, instead of just seeing your ad on television or hearing about you on the radio, they actually carry your brand around with them. If your logo is on a t-shirt, it will be displayed wherever they go. When they go to the gym with your customized water bottle, people will see your logo and even ask about you. Keep in mind that usefulness is the number one reason why people keep promotional items. As such, make sure you use products that are tailored for your customer base. If someone doesn’t need (or have already used and no longer want) an ad specialty, they are more likely to pass it along to someone else than throw it away. 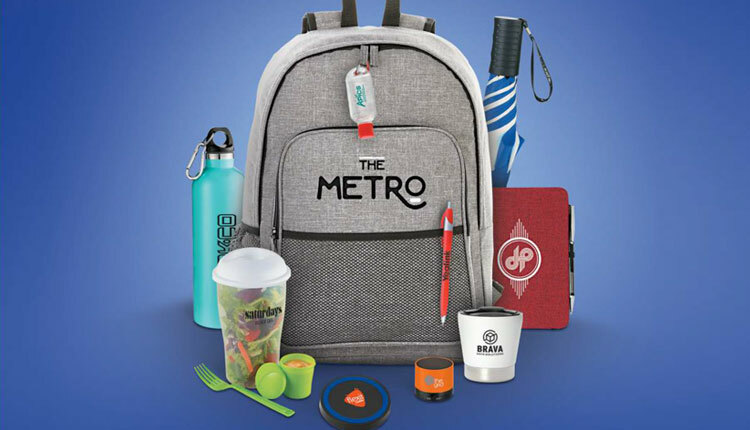 Overall, 55 percent of people will pass a promotional product along while only 23 percent of them would throw it away. The quickest way to get your brand known is by putting it in front of thousands of people. One way to accomplish this is through billboard advertising, but that can be expensive. Ad specialties put you in the public eye for less money, reaching more people than any other form of advertising. This of it like this. If someone sees a billboard, they will see your brand. But, that is the extent of it. Now image someone wearing a t-shirt with your logo. Not only does the person wearing it have a constant reminder of your brand, but everywhere they go they become a living billboard. In addition to showing off your brand, they will get questions which may result in a referral for your brand. People also love to receive ad specialties. It has been shown that people receiving these products have a favorable opinion about the brand. They are also more likely to purchase from that brand because of the promotional product they received. Another stunning statistic adds favorability to a brand based on where the promotional product was made. Overall, 53 percent of consumers have a MORE favorable rating of a company if the products were made in the United States. There is also a higher favorable opinion (42 percent) if the product is environmentally friendly. Promotions now can include co-branding with other manufacturers. Add more credibility to your business by choosing branded promotional products from companies like Nike, mophie, Under Armour, and others. When your logo is next to a well-known brand, people tend to give you more credibility than just your logo alone. There has never been a better time to use ad specialties in your marketing campaign. The sale of such items has continued to increase over the last nine years, showing that the industry is continuing to grow. Many marketers are using this type of promotions now to benefit from the large return on investment. Ad specialties are less expensive and more effective than other forms of advertising. People love receiving these products and will have a more favorable opinion of your brand as such. They are also more likely to do business with you over others. If you are unsure of the right ad specialty to use for your brand, give us a call to discuss. We can provide you with plenty of choices of promotional products no matter what your budget.